Do yourself – and your health – the favour of becoming aware of what you need. MEDSHIELD claims you need the assurance of comprehensive healthcare just like your hands need thumbs to ensure their full functionality. True or false? Well, consider the answer carefully. Too many people make the mistake of thinking: it won’t ever happen to me. Comprehensive healthcare assurance is not that dissimilar to life insurance. Yes, medical aid premiums can be exorbitantly expensive, but comprehensive healthcare assurance might save you a great deal of money in the long run, often proving to be considerably less expensive than not having any kind of medical cover at all. Even though you may save diligently for a rainy day, medical expenses can consume all your savings far quicker than you think. Some chronic medical conditions require treatments that are so expensive no one but the richest of the rich would be able to afford paying for them out of their own pockets! It’s also well worth noting that without a medical aid, you’d probably be forced to deal with poor medical service and treatment. It’s common knowledge South Africa’s state-run provincial hospitals are hopelessly overcrowded and badly understaffed. Medical conditions that require professional and/or hospital care regularly happen unexpectedly. The last thing you need is to be left deep in debt and unable to afford to pay your medical bills. Under such circumstances, the money you save as a policyholder is well worth the upfront cost of your medical aid premium. Often the problem is people who don’t have medical aid cover are less likely to visit a doctor when they start to feel sick – and then end up being forced to seek medical attention when the condition becomes too serious to simply be treated at home. They pay a lot more for the subsequent care than they would have done had they gone to a doctor in the first place. Sooner rather than later is always the best approach; it would be fair to suggest when your health is at stake, the adage prevention is better than cure should be your rule of thumb. 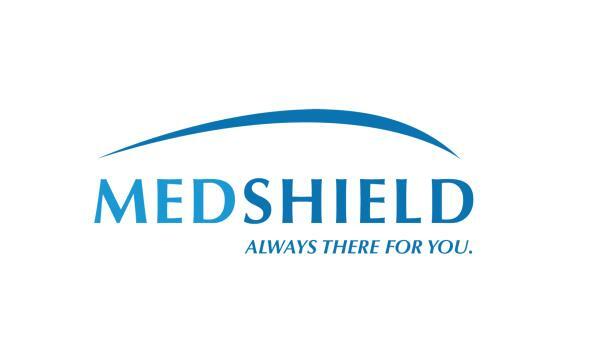 MEDSHIELD offers a variety of benefit options that will accommodate most budgets – and as a registered and respected service provider, the company offers everything from the most basic to full, comprehensive cover. Policyholders can choose to cover themselves only, or to include their spouses, partners, or family members. There are also choices with regard to the kinds of medical conditions that will be covered and what you’d prefer the scope of such cover to be. Do yourself – and your health – the favour of becoming aware of what you need, and what’s available; take the time to make sure you understand what’s covered and what isn’t. If you’re uncertain, ask – there will always be a representative who’s willing to answer your questions and explain the details to you. Don’t wait until it’s too late – contact MEDSHIELD today.